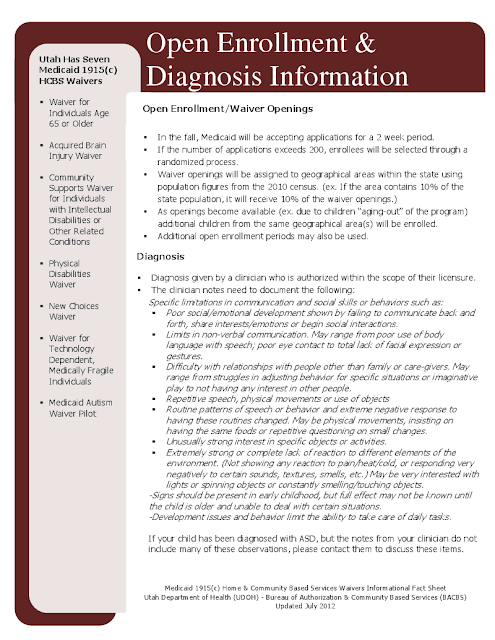 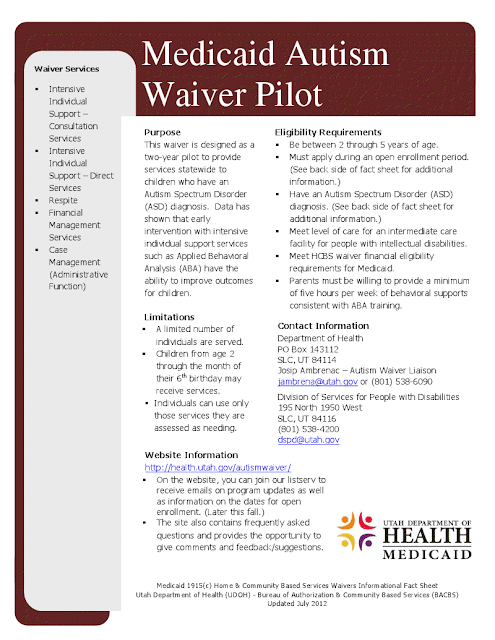 Please review the following fact sheets regarding the Medicaid Autism Waiver Pilot. This is not an income-based program, so if you have a child with autism between the ages of 2-5 please contact Josip Ambrenac – Autism Waiver Liaison at jambrena@utah.gov or (801) 538-6090. You can also learn more at http://www.health.utah.gov/autismwaiver/.